I noticed the above quote on Twitter today. I fear it may be true but, like all good things, the price will be worth it. It’s the price of not paying it that is not. Attracting and retaining volunteers – Creating Capacity. Course advertised to librarians. Tale of two libraries – ChB:PhD. In Denmark, threatened library went almost completely self-service for 18 hours per day, 7 days per week. CCTV and cardswipe to allow access and security. Bromley – Large scale reductions in opening hours. Bromley – Proposed changes to branch library opening hours – Bromley Council. Big reductions to opening hours. “It takes 3-4 years to train a librarian, and for someone to just go in and say we’ ll take your book and we’ll stamp it…..you need to know a lot more than that and I feel quite strongly that the people who are trained librarians must feel very sore at all the time that they have spent in training to think that someone is going to volunteer to come and run the library…you’ve got to know what you are doing. It is not just scanning the barcode on books..I don’t think volunteers can be the answer“ Gloucestershire – The WI get it, why doesn’t the secretary of state? – BBC Radio Gloucestershire, 19:50 to 25:30. Somerset – Burnham MP attacks plans for “massive cuts” to mobile libraries – Burnham on Sea. Tessa Munt MP describes 25% cut in library services as “way more than is necessary” as government funding of Somerset has actually gone up by £20m. On Thursday 30th June, the better part of a million public sector workers will be on strike. It will be the turn of those in public libraries to do the same thing soon enough. Southampton librarians are already striking. The Public Libraries News logo, gratefully taken from the genius Phil Bradley, says “this time we are all in the front line”. If there has ever been a time since the Second World War for such unified action it is now. So, those who are striking tomorrow and have some spare time, boost our usage statistics, rediscover the wonderful thing in your town called a Library. Help library staff now and we’ll return the favour by answering your question or by helping your mother get her essential books or by helping your child choose a book. Don’t help out and we may not be there when you need us. As WiFi havens and E-book Centers, public libraries aren’t going away soon – Fast Company (USA). Usage and tech increases in American libraries but budgets are flat or cut. Importance of promotional activity – Voices for the Library. 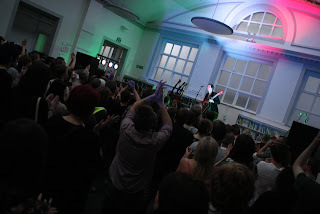 Promoting events in libraries can improve usage and thus make the library safer from closure, especially as councils often refer to changes in usage from previous year. Libraries and campaigners can therefore promote events like the Summer Reading Challenge in order to sustain the current service. “This research event will bring together a range of senior council staff, providers, social entrepreneurs, innovators, community groups, cultural service experts, community groups, academics and service designers. It will test how emerging best practice could be developed further to imagine the next generation of local library services and define a new role for community assets.” Libraries and community assets: ripping up the rulebook – New Local Government Network and May Gurney. 6th July event at the Design Council. Save our libraries, fire the librarians – News Leader (USA). Article starts off questioning the need for a new library at the time of budget cuts then turns into probably the most bizarre mainstream article on librarians this year – “most librarians are little more than unionized pawns for the social-activist bosses of the American Library Association”, “an enforcer for ultraliberal sociopolitical cause”, “sided with terrorists to ban public debate”, ” vigorously promotes homosexuality and other [sic] deviant behavior by children”, “Our library has slanted bookshelves”. The author chaired Ronald Reagan’s presidential campaign in South Florida. What librarians and Google are for – Phil Bradley’s Weblog. Neat summary of the differences which will not be spoiled by summarising here. Ealing – Mobile Library to go but no branch libraries to close, “Birth of Eve” picture sale of £570k to go to Libraries for Wifi and new computers, Library opening hours reduced by 25 per week, move to Trust or other model to be considered, “comprehensive” volunteer programme, some branches may be entirely “self-service”, 20 FTE library jobs to go. Brent – Mark Twain stamp released as fight continues to save Kensal Rise Library – Save Kensal Rise library. “Kensal Rise Library was opened by Mark Twain as a gift to the people of Brent from All Soul’s College, Oxford. It was opened to encourage reading and raise child literacy levels, and it is for that reason that residents are fighting so hard to keep it open.”. Mark Twain Museum (USA) supports efforts to save library. Doncaster – Mayor Davies caught with his pants on fire again – Save Doncaster Libraries. Mayor suggests he is (a) improving Central Library but no evidence of this and (b) bemoans lack interest in volunteer-run libraries as lack of interest in libraries, which is not the case. In addition, the council has not made clear what, if any, support it would offer. 26,000 Doncaster people have signed petition to save their threatened libraries so far. Ealing – Committee Papers – Ealing Council. Full proposals.- Mobile Library to go but no branch libraries. Hampshire – Slimmed-down library ready to hit the road – Gazette. 13 mobile libraries cease from 4th July, £500k cut. Hertfordshire – Campaigner mobilises headteachers and MP against Borehamwood library cuts – Borehamwood Times. Area of high deprivation should be cut less say local schools and James Clappison MP. “I want councillors to appreciate you cannot make these cuts without there being an impact on literacy.” says Louise Aldridge. Isle of Wight – Volunteers “should not replace library workers” – “Volunteers should supplement, but not replace, library provision on the Island, according to MP Andrew Turner”. Southampton – Council workers begin new strike – “Library staff, refuse collectors, street cleaners, toll collectors and parking enforcement teams are walking out for seven days…. In February, councillors finalised budget cuts of £25m and said all workers earning more than £17,500, which is 65% of staff, would have their hours cut – resulting in a loss of pay.”. All but one library closed by strike. 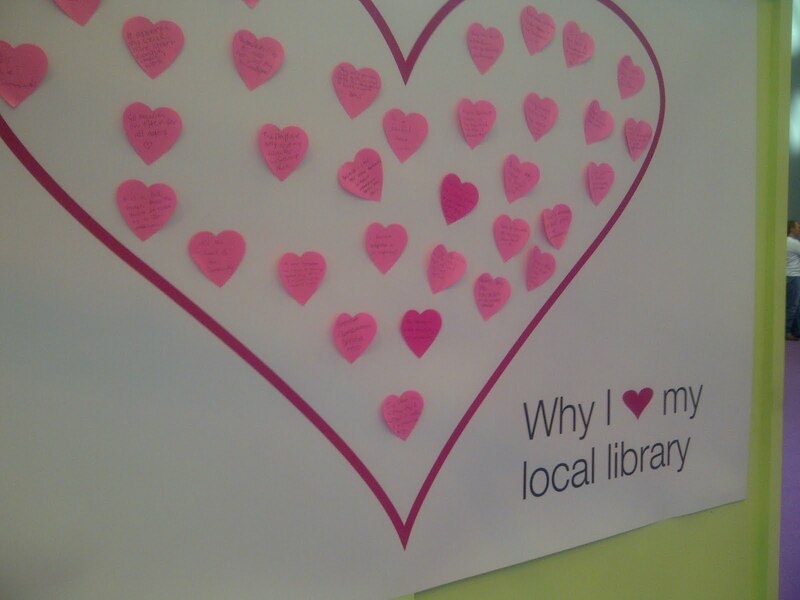 Surrey – Communities need council libraries: join the lobby – Save our services in Surrey. “Join the lobby of the SCC Cabinet to save council libraries: Tuesday 26th July, 1pm, at County Hall, Penrhyn Road, Kingston. Click here to download distributable flyers (PDF)”. Glos appears to ignore the legal injunction … but can Number Ten ignore the WI? Gloucestershire council appear to be ignoring a legal injunction against them. The second of the five points therein is that they must suspend “transferring or agreeing to transfer any library building or lease or responsibility for running any existing library”. However, no less than nine such transfers have been recommended for a council decision next week. The Council seems confident it will win the legal hearing on the 7th July. One wonders what advice they have been getting, and from whom. The Government may soon be getting advice from the WI, although it is unlikely to want it. The Financial Times notes their new pro-library campaign is likely to alarm Number Ten. The bastion of Middle England will be on the same side as Unison in opposing library closures. Part of “For the People” Poem by Tony Walsh, commissioned by Unison for Glastonbury Festival. What, dear reader, is the future of the book? – BBC Radio Four (six minutes). Julia Donaldson “I saw an ebook on Alice in Wonderland … and there was some sort of button to press to make her neck grow and shrink …they’re just going to be pressing this wretched button”. Penguin executive says people will not read books from page one to the end but dip in and out, google parts of it, etc. Julia has refused a Gruffalo ebook, much to the annoyance of her publishers. Early chapters of books may be put online free to encourage sales. Charing Cross Road has some struggling bookshop: high fixed costs and low margins so it doesn’t take much to make it hard to sustain. Specialist bookshops thrive, especially if they have atmosphere and passion. Regardless of content, Sarah Waters argues people will still want characters and plots. WI launches campaign to save libraries – Financial Times. “News of the campaign is likely to set alarm bells ringing in Downing Street given previous encounters between politicians and the WI’s formidable members… Gloria De Piero, a shadow culture minister, urged the coalition to “sit up and take notice” of the campaign. “The Women’s Institute are the backbone of so many communities and they work tirelessly for the good of them. They are campaigning for libraries because they know how vital they are to so many,” she said. Portsmouth – Longer opening due to installation of self-service and loss of 8 librarian jobs. Wirral – 32 new staff employed to replace 50 staff made redundant 2010/11. Gloucestershire – Community plans get the thumbs up – Glos County Council. “In advance of a decision by Cabinet Members next week, the official officer report recommends councillors agree that 17 business cases are progressed with the council’s support”. Sometimes you come across something so right that one needs to tell everyone. Such a moment came when I had a look at the brilliant Edmonton Libraries brochure explaining what they do every day. Through several beautifully produced pages it helps library staff and campaigners around the world with a few tips on how to do it themselves. I have placed it at the top of the “reasons for public libraries” page as it so neatly does the job for me. In fact, I could have saved myself some time and just used it instead, if its existence had previously been known to me. If your library is not like the one described within, ask your councillors why not. Perhaps it’s because libraries in this country have never produced anything like it. Get it loud in libraries – Lancashire Libraries. “Get It Loud In Libraries is a unique award winning project – it is the current Love Libraries Award 2007 winner-designed to give people, especially young people who love music, a damn good time in a library; libraries across Lancashire if you are someone who cares for the small details.”. Singers include Chipmunk, Secret Sisters. Is the future of books and libraries intertwined? – Kaser Info Today. (USA). Is this the tipping point for E-books and libraries? – Read Write Web (USA). Santa Clarita prepares to open new library system – PublicCEO.com. Favourable report on LSSI’s takeover of three public libraries. “In anticipation of opening day, the City vastly increased the inventory of library books and media, as well as service days and hours at the three branches.”. Trade unions and anti-cuts campaigners plan summer of protest – Guardian. “Earlier this month Dave Prentis, the head of Unison, the UK’s biggest public-sector union, promised to mount the most sustained wave of industrial action the country has seen since the general strike of 1926, vowing not to back down until the government has dropped its pension changes.”. Most library staff who are in a union are in Unison. We will not be Shushed: a new method of library advocacy – American Libraries (USA). The “Save NYC Libraries” campaign has put together advocacy events including 24-hour read ins, a Zombie Walk, petition and post card campaigns, and most recently a flash mob library hug around New York Public Library’s Stephen A. Schwarzman Building. Who we are and what we value – Edmonton Libraries (Canada). Simply superb publicity brochure brilliantly explaining and describing what libraries do. The video above is pretty darn good too. 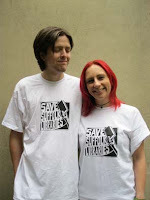 Brent – June Campaign Update – Save Kensal Rise Library. (1) Philip Pullman to speak on 20th July, (2) Application for judicial review now issued, nearly half of the £30,000 required has been raised, review expected when time available July-September (3) Stall at Queens Park Book Festival, stall soon at Kensal Flea Market. Hertfordshire – Cuts to library hours come into force – Hemel Today. Some of the most serious cuts in library services anywhere, a 30% opening hours cut, will come in force from Monday. Adam Buxton to present “Silent Library” gameshow – British Comedy Guide. Will air on digital channel 5* from July. Aim of the show, originally from Japan then showing in a MTV USA (linked above, NB may be offensive) is for the contestants to stay quiet in a “library” while strange things happen to them. Community-run libraries “could charge” – BookSeller. Article already mentioned here but the comments are interesting. Future face of literature – Sunday Times (behind paywall). Enfield librarian Ruper Colley comments on piece on iPad and Ebooks. IT Boss admits swindling £500,000 from National Library of Scotland – Daily Record. “Throw the book at him”. Libraries are the beating hearts of our communities – NRToday.com (USA). This is our last public space – American Libraries (USA). Want to know print’s future? It will cost you – Guardian. Average British consumer spends £4 per month on ebooks. Article speculates that books will divide with cheap paperbacks/vanity disappearing but quality hardbacks remaining. We need libraries – One man and his beard. “Don’t close our [guitar] Don’t close out [guitar] Don’t close our libraries”. Where life begins again and friends live forever – JJ Brown, Author (USA). Croydon – Dozen library staff lost in April. Croydon – Secret meetings and council silence over library sell-off scheme – Inside Croydon. Council are being very quiet about “market testing” proposal looking into privatising libraries, despite large-scale multimedia publicity of other council projects. Commenter worries that privatisation will mean increase in fees and distress to poorer users. Gloucestershire – Library closure plans halted by injunction – Wilts and Glos Standard. Leeds – Rationalisation of Library Services: email from official – What Do They Know? Northern Ireland – Rural Community + Mobile Library = Nonsense – BBC Your Week in Pictures. Killyleagh Library protesters with mock up library van make their point. Front Lines – Times Higher Education. “At a Unesco forum, Matthew Reisz hears about the hunger for libraries, corporate creep, and what should and should not be archived on the net … Several members of the panel were eloquent in defending the continuing value of libraries. Sue Sutherland, acting chief executive and national librarian at the National Library of New Zealand, called them “one of the last bastions of public civic spaces”. After the earthquake in Christchurch in February, she noted, they were very often the places where “people came together to meet and make sense of what was happening”. Future of library services in the big society: notes on Ed Vaizey’s speech – via Alan Gibbons. Also Questions asked to him (“I will respond to you after discussions with my officials”). “Q. You have recently been campaigning against the closure of libraries in Brent, most notably Kensal Rise. Local libraries are obviously a vital part of a community – what do you think the impact of these closures will be on local life and aspiring writers who will no longer have the ease of access these places afford them? “A.The question sort of answers itself, doesn’t it? I don’t think I would have passed my exams without my local library. Without the exams I wouldn’t have gone to college. Without college I doubt I would have written. It’s all so obvious. But no-one seems to care. It’s not just libraries – it’s a whole avenue of escape that’s been closed down. I was born in 1975. I was schooled for free, educated for free, when I broke my leg it was fixed for free, when I passed my exams I got to Cambridge for free. With a maintenance grant from Brent council that I did not have to pay back and without which I couldn’t have survived. That is what made my life possible – the availability of services that were free at the point of access. I should think I’ve paid the state back in taxes many times over by now. From the vantage point of 2011, 1945-1975 looks like a golden period in British history. It was a period where you at least had a chance of realizing the opportunities of a meritocracy. That time is over.” Interview with Zadie Smith – Literateur. Libraries and library workers are community glue! – UNISON motion 43 passed at conference. Library: A world of possibilities – Voices for the Library. “Libraries are magical places that inspire kids to read. They are community hubs, information centers, study halls, meeting places, story time theaters, craft centers, and most importantly, gigantic bookshelves! Show me a literate society and I’ll show you public access to libraries. Don’t close the doors to our world’s libraries. 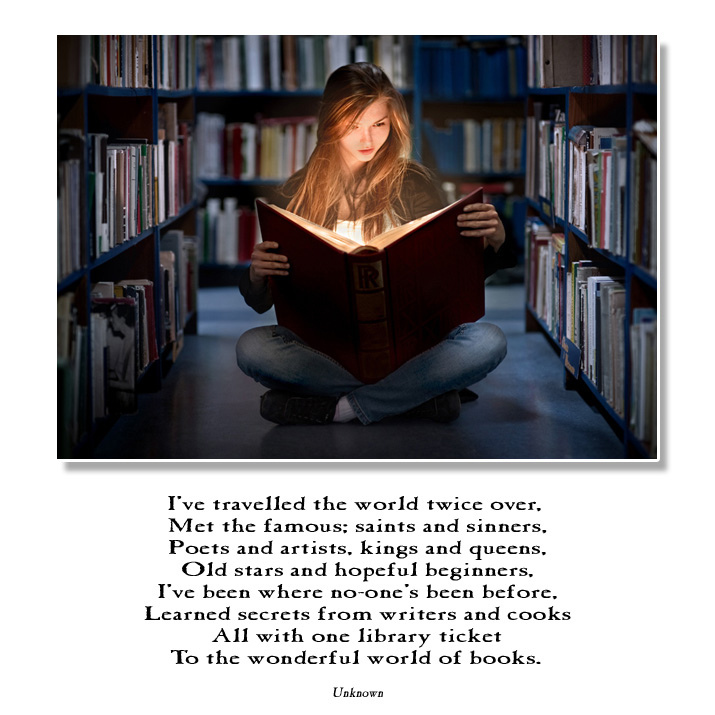 Save our libraries and open up a world of possibilities.” Dianne de La Cassas. Libraries: Information and Knowledge Spaces – Huffington Post. Quite a technical article but with some great pictures of libraries. Bolton – Submissions on consultation process – Save Bolton Libraries Campaign, via Alan Gibbons. Long letter disputing the library consultation process in Bolton mainly in legal terms. Bradford – Volunteers looking into running service in village – Ilkley Gazette. “Addingham Library, based in an Addingham Parish Council-owned building, could be the first in the Bradford District to be taken over by members of the public.” – Library was to be closed at end of next week. Stay of execution until mid-July to allow volunteers chance to prepare a takeover. Cumbria – Today’s libraries are more than a place to borrow books – Times & Star. Many reasons listed.”People at West House, a charity which works with people with learning difficulties, are also regular visitors and some find the smaller branches less overwhelming than busy main libraries. Enfield – Petition opposing library closures handed to council – Enfield Independent. 400-name petition handed in. Decision to be made on Monday. Gloucestershire – Community services work best at their most local – This is Glos. Formal business cases submitted for 22 of the 24 libraries”on offer”. Oxfordshire – County leader berates Oxfam chief – Oxford Mail. Cllr Keith Mitchell – “We have no choice other than to cut public spending and, by doing it quickly, we have earned the confidence of those who fund our debt and kept interest rates low and affordable.”. Comments on website include suggestions he is insane and/or economically illiterate. Wokingham – Bookworms fight to keep libraries public – Get Wokingham. “there is no requirement outlined in the council’s competitive dialogue process which will require a partner organisation to keep the existing libraries open.”. The second document is also well-researched and professional, but in all other ways is very different. It comes from UNISON. Called “Love Your Libraries” it is also an essential read for library users, staff and campaigners. Community Managed Libraries – MLA. Complete report on the current situation regarding volunteer-run libraries in the UK. Essential reading for all library campaigners and those with a viewpoint on library cuts and closures. “…if Ed Vaizey is passionate about libraries and his government is working behind the scenes to save them, then that must be the best kept secret in the country. I have seen leakier super-injunctions.” Edited speech by Patrick Ness. Love your libraries campaign – WI. Actions for members include joining library, sign the petition, write to councillors. “Ness, who described himself as a “child that libraries built”, praised the work of librarians. “Librarians open up the world,” he said. “Knowledge is useless if you don’t even know where to begin to look. How much more can you discover when someone can point you in the right direction, when someone can maybe even give you a treasure map, to places you may not have even thought you were allowed to go? This is what librarians do.” Patrick Ness accepts Carnegie medal with fierce defence of libraries – Guardian. concerned issues of community, equal access, civilisation and education for all. Bradford – 5 under threat, of which 3 may be taken over by volunteers. Herefordshire – 2 (out of 2) mobile libraries to close, final decision to be made June 30th. Bradford – Denholme and Addingham libraries get stay of execution, but Wilsden and Heaton to close – Telegraph & Argus. Three may be run by volunteers, two others may close at end of June. Doncaster – Doncaster libraries in parliament paper – Save Doncaster Libraries. Herefordshire – Mobile libraries to be scrapped – BBC. “Precise figures are hard to come by but at least one source has mentioned over 40. However, the leadership is in retreat after a Conserative group meeting held this week saw backbenchers express their horror at the scale of the possible cuts and demanded a re-think. Sources say that many county councillors were aghast at the proposals, not least because some of those identified for closure were in Kent’s Conservative heartlands. Others pointed out that they had made various election commitments that local libraries in their areas would be safeguarded.” Kent – Rare Conservative retreat over library closures plans: how a retreat happened – Kent Online. Libraries in transition; DCMS rules out explaining inaction. – Explain why it has not acted. – Rule out action or inaction. – Give a timescale as to whether it will ever act or not. In other news, there is a very useful, possibly essential, 31 page report on public library closures produced by the Houses of Parliament and a report called “Libraries in Transition” has come to light, leaning heavily towards moving libraries into trusts or social enterprises. Lots of reading to do. Fewer libraries each month in which to do it. 393 libraries (319 buildings and 74 mobiles) currently under threat or closed/left council control since 1/4/11 out of c.4612 in the UK (for the complete list by area see the page “Tally by local authority”). Librarian professional body CILIP forecasts 600 libraries under threat (inc. 20% of English libraries). The Public Libraries News figure is obtained from counting up all reports about public libraries in the media each day. Briefing paper on public library closures – Parliament. Overview of the current and recent situation in libraries over 31 pages. Community Knowledge Hub and Libraries – Information Twist. A critical examination of the new website and its underlying thinking. Libraries in transition: are there creative alternatives? – Social Enterprise London. A pro social enterprise piece suggesting that Trusts are a way out of closing libraries. Examples include Wigan (6 libraries under threat this year) and Prudhoe Community Trust (website down due to circumstances beyond their control). Mystery object gifted to National Library of Scotland – LinkedIn. Gramophone made out of books left outside of its doors, labelled “For @natlibscot- a gift- in support of Libraries, Books, Words, Ideas….. (& against their exit)”. Sheriff Vaizey – Information Twist. Compares Ed Vaizey’s barnstorming performance in the Wirral campaign with his current inaction. Barnet – Friern Barnet library campaign. Hammersmith & Fulham – Council accuse Brent of being “lazy” in shutting down libraries – Save Kensal Rise Library. Refers to full London Evening Standard article. Merton – Volunteers work with council to keep libraries open – London Borough of Merton. West Barnes Library will be staffed by 40 volunteers on Mondays. Surrey – Libraries to get next generations service whilst tax payers save money – PRLog. Wi-fi in all libraries, more self-service. The minister for libraries, Ed Vaizey, said it is “better to discuss with local authorities before we press the nuclear button of intervening” at the “Future of Libraries in the Big Society” conference (Cost per ticket – £718 for companies, £358 for the discounted members – it’s unclear if volunteers delegate tickets were free) today. Mr Vaizey then said he will decline to act until he has been advised that “there is a prima facie case that they [the local authority] have breached their library duties. I haven’t been given that advice yet.”. Reports from the conference suggest he praised the new Community Knowledge Hub website which is a resource for those wishing to run public libraries with volunteers. Mr Vaizey then went on to concentrate on positive stories such as Newcastle and Manchester Libraries updating their Facebook pages. An immediate response from a Gloucestershire campaigner, where the public is having to fund a legal challenge to the council’s plans to cease funding 16 libraries, was “Is this man on another planet?!”. Alan Gibbons says that Ed Vaizeys’ “comments threaten to turn complacency into an art form”. Community Knowledge Hub – New government sponsored website for running libraries with volunteers announced by Ed Vaizey at the “Future of Libraries in the Big Society” conference. Confronting the future: Strategic visions for the 21st Century Library – ALA (USA). Survey from the American Library Association on what the future holds for public libraries. Hackney – Front-line staff cut by £700k 2010-11, more senior managers. Rotherham – Central Library to be demolished, libraries to move to new Civic Building, co-locating with customer services. Southwark – Consultation 27 June to 30th September. Dorset – Future of Dorset libraries still hang in balance – Dorset Echo. Closing ten libraries will be the recommended option when full council meets July 21st. Also Closure threat still hangs over libraries (Daily Echo). “The Steering Group that was formed to establish the Friends of Benson Library is very pleased to announce that the official launch will take place on 23 June 2011 at 7:00pm. You are very welcome to attend. We will take you through the detail of what we have been doing and what lies ahead. Make no mistake, the services that Benson Library offers are not safe, secure or in any way protected. We need your support to secure the best possible result.Oxfordshire – Friends of Benson Library Official Launch – Friends of Benson Library. Rotherham – Defend Rotherham Central Library – Rotherham Against the Cuts. Library to move to ground floor of new Civic Building, co-locating with customer service centre. Southwark – Public consultation – Southwark Council. “Make suggestions about how savings could be achieved”. Sometimes one wonders if other countries are experiencing the same serious issues about (and against) their public libraries as we facing. Certainly I know that our colleagues in Western Europe look upon what is happening here in shock, wondering how anyone can cut what is so obviously such a cheap common good as the public library service. Other days, I think that we are truly all in it together, or at least the English-speaking (strange that) nations are. This is shown today by two reports. One is from New Zealand and is part of a campaign to make free public libraries statutory. It’s weird to read about the UK being an example of good practice but some of the arguments are very apropos in today’s climate. The other, possibly at the moment far more relevant report given recent headlines, is from the American Library Association (ALA) on “Keeping Public Libraries Public”. It is a well-researched, thought-out impassioned paper and one which all advocates, and critics, of public public libraries should read. Keeping public libraries public – ALA. Comprehensive guide to the reasons for keeping public libraries in public hands and the problems with privatisation. Slight American slant but still highly usable. Mutual interest: How the public sector can do more with less in the Big Society – Public Sector Executive. Argues for the Big Society, including the case of Wandsworth’s York Gardens Library. Article does not mention widespread resistance and criticism of the plans. Islington and Camden – councils may share some library services. Doncaster – Be careful, DMBC, you could be next – Save Doncaster Libraries. “DMBC is dangerously close to similar legal action. Like Gloucestershire County Council, DMBC seeks to cease funding or close a significant proportion of its libraries.”. Hertfordshire – Herts library opening hours to change – Mercury. Opening hours will be cut across the board by 30%. Islington – Libraries face opening hours cuts – Islington Gazette.